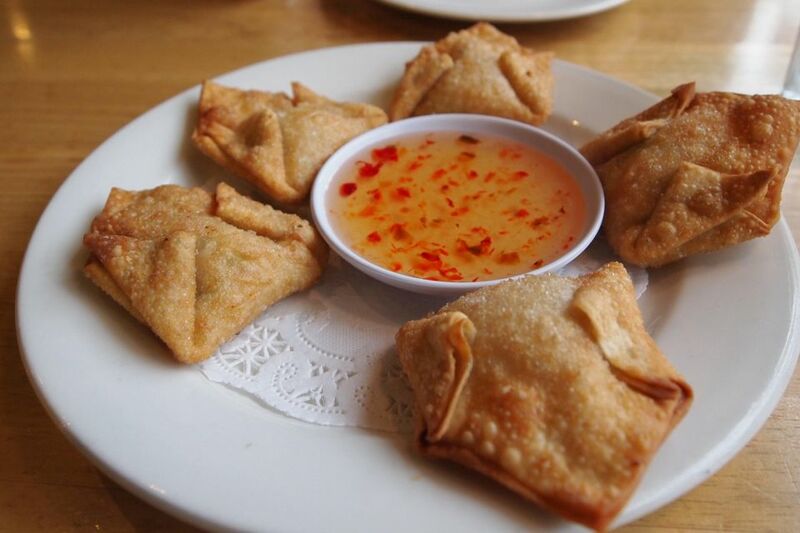 This crab rangoon recipe comes from Shirley Fong-Torres, who learned the recipe from her father, the original chef at Trader Vic's restaurant. Her company, Wok Wiz Walking Tours and Cooking Center, runs a popular series of culinary and historical walking tours in San Francisco throughout the year. Combine crab meat or smoked salmon, green onion, cream cheese, steak sauce, and garlic. Bring opposite corners together and press gently, so filling will be secure. Place oil in wok and heat to 375 F for deep-frying. Deep-fry one crab or salmon puff and adjust heat downwards if necessary. Fry rest of puffs until delicately brown, less than two minutes. Serve hot.